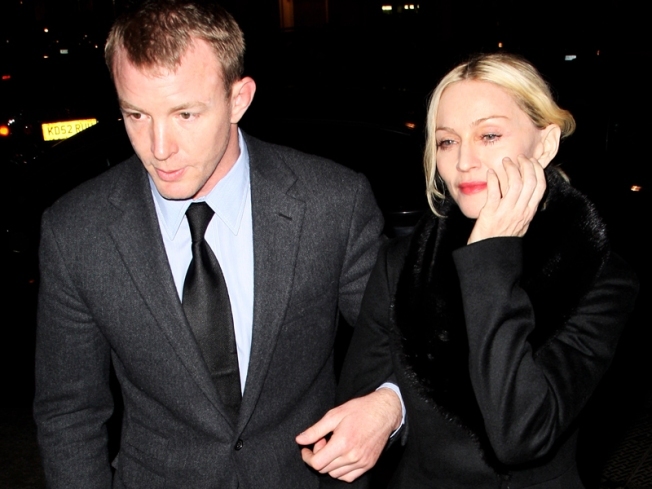 Madonna and Guy Ritchie have bought themselves a one-way ticket to Splitsville. Rather than put himself through the horrors a drawn out and public divorce, a la Paul McCartney and Heather Mills, Guy Ritchie has decided to walk away from Madonna and her fortune. The divorce agreement between Ritchie and the Material Girl will be posted in the Registry of the Family Division in London within the next 24 hours, reported the Times Online. "It will all be over by the end of the month," said another friend. Ritchie and Madonna could have been headed for a nasty divorce over her nearly $500 million fortune. But don't worry about Ritchie, who thanks to a successful career as a movie director is said to have amassed his own modest fortune totaling nearly $50 million. Rather than money, the major hurdle for the defunct couple was custody of the kids. She wanted all of them to live with her in New York, while he wanted the boys -- Rocco and David -- to stay with him in London. The boys reportedly will split time with their parents, while Lourdes, Madonna's daughter from a previous relationship, will naturally stay with her.